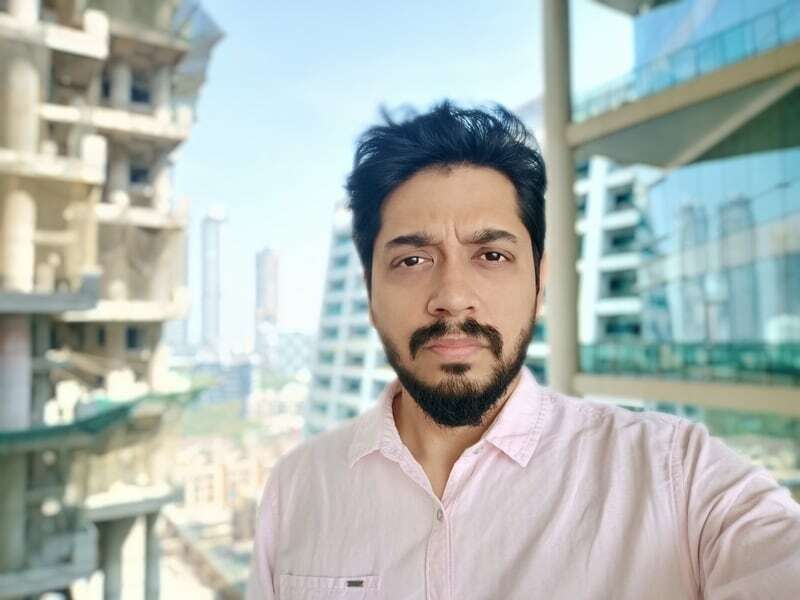 Realme is adding another series to its portfolio, and the first model to debut is the Realme U1 ₹ 11,999 — the company’s first ‘Selfie Pro’ smartphone. Given how popular Oppo’s F series has been, it’s no surprise that the once sub-brand of Oppo is adopting a similar strategy. Other than having a high-resolution front camera, the Realme U1 is also the first phone to debut MediaTek’s Helio P70 SoC, which is said to be more powerful and efficient than its predecessor, the Helio P60. 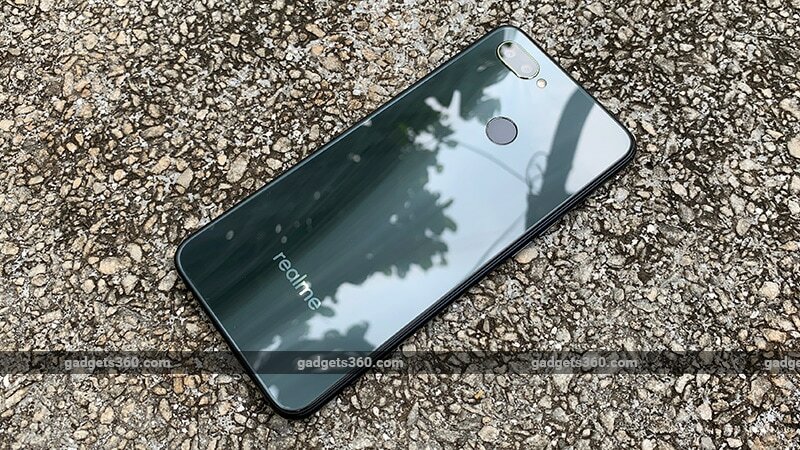 The Realme U1 will compete with Xiaomi’s Redmi Y series, which is another line of selfie-focused smartphones, and of course other notables such as the Asus ZenFone Max Pro M1 ₹ 8,199 (Review) and Xiaomi Redmi Note 6 Pro ₹ 13,999 (Review) in the sub-Rs. 15,000 price band. Let’s see if it’s worth recommending over such strong competitors. 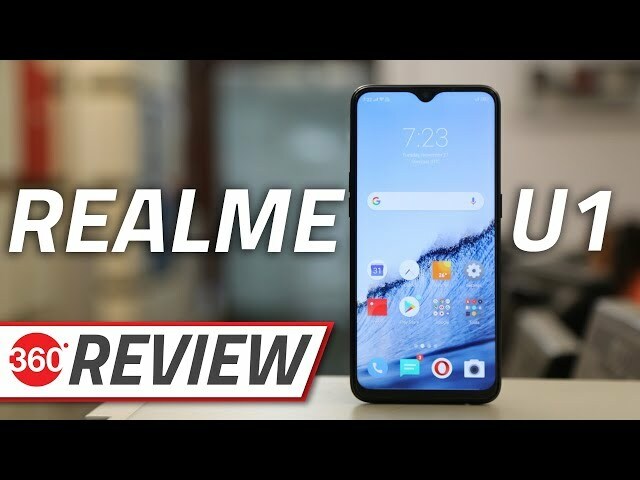 The Realme U1 looks very similar to the recently launched Realme 2 Pro ₹ 13,990 (Review), and that’s not a bad thing. The rounded edges offer good grip, and the matte finish of the rear means it’s not slippery. The display is raised a bit from the rest of the body, so its edges don’t seamlessly blend with the sides of the body. The same goes for the laminated rear panel. Thankfully, the back of this phone didn’t pick up any scuff marks during the course of our review, which is a good sign. At 8mm thick, the Realme U1 is comfortable to hold and isn’t too heavy at 168g either. Button placement is good, and with typical use, we were able to reach the power and volume buttons without trouble. The SIM tray on the left can accommodate two Nano-SIMs and a microSD card, so you need not sacrifice one for the other. At the bottom of the Realme U1 we have a speaker grille, a Micro-USB port, and a 3.5mm headphone socket. Once again, the lack of USB Type-C is a bit disappointing. Our main issue is with the placement of the speaker grille, because it can easily be blocked the moment you hold the phone horizontally. This means that audio sounds muffled when playing games and watching videos, if you’re not careful. The 6.3-inch display on the Realme U1 has a 450nit maximum brightness, which makes it very legible under direct sunlight. It’s an IPS panel with a 1080×2340-pixel resolution, which means you get sharp images and vivid colours. You also get a basic colour temperature adjustment slider in the Settings app. Realme has used Corning Gorilla Glass 3 for the front of this phone, which is a somewhat old generation, but it’s better than nothing. The phone is also comes with a screen guard pre-applied, and ours picked up dings and scratches quite easily. The screen guard is a massive fingerprint magnet and so is the laminated back, so keeping the Realme U1 looking spotless can be a real chore. The waterdrop or dewdrop notch looks pretty, and is a minimal hindrance in full-screen apps. Still, if you find it getting in the way, you can flip a switch in the Settings to mask it for individual apps. 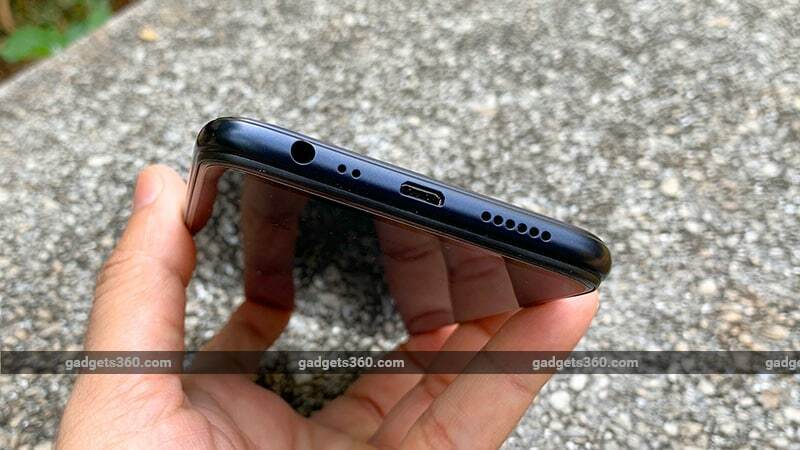 There’s a single camera in the notch, as the earpiece and a group of sensors are above it. Due to the limited space, there’s no notification LED. The laminated back has a nice visual effect when light bounces off it. We have an ‘Ambitious Black’ unit for review, but you can also get the Realme U1 in ‘Brave Blue’ and ‘Fiery Gold’. The dual camera module on the rear doesn’t bulge out too much, and the chrome trim held up well during our review period. The fingerprint sensor works well and is quick at authentication. It also has a slightly different texture than the rest of the back, making it easy to find. Face unlock is still very quick and inflow-light, the display lights up to compensate for the lack of good light. 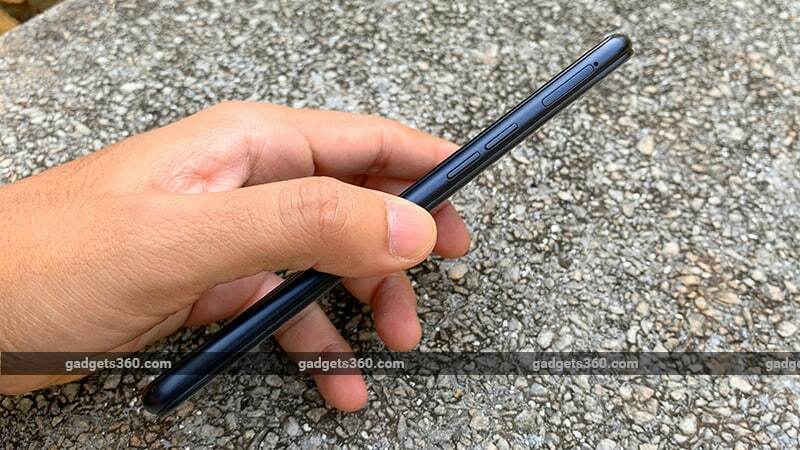 The Realme U1 ships with a 10W power adapter, USB charging cable, silicone case, SIM eject tool, and the usual warranty and quick-start guides. The quality of the accessories is good, and Realme’s packaging seems to have improved too, compared to its earlier offerings. One of the main highlights of the Realme U1 is the new MediaTek Helio P70 SoC, which is a speedier version of the Helio P60. According to Realme, this new chip should provide up to 13 percent better performance compared to its predecessor. It also has an improved version of MediaTek’s on-chip AI processing engine, which is said to be more efficient. In benchmarks, the Realme U1 posted pretty good scores. It managed 1,44,161 points in AnTuTu, and in Geekbench, we got 1,573 and 5,828 in the single- and multi-threaded tests respectively. These numbers are better than what we’ve seen from most Helio P60-based phones we’ve tested such as the Oppo F7 (Review) and Oppo F9 ₹ 16,141 (Review), and even edge out some Snapdragon 660-based phones too, such as the Realme 2 Pro. The integrated GPU gave us an average framerate of 35fps in the T-Rex graphics test of GFXbench. This is a bit lower than the Realme 2 Pro’s score of 39fps in the same test. Our review unit had 4GB of RAM and 64GB of storage, but you can also opt for a variant with 3GB of RAM and 32GB of storage. Other features include dual-band Wi-Fi 802.11ac, Bluetooth 4.2, USB-OTG, FM radio, GPS, and GLONASS. Dual 4G with dual VoLTE is supported. This phone’s sensors include a proximity sensor, gyroscope, compass, ambient light sensor, and accelerometer. You get the Realme U1 with a bunch of preloaded apps, most of which can be uninstalled if not needed. There are gestures for navigation, taking screenshots, and enabling split-screen mode. Smart Scan and ORoaming are two interesting features that we’ve seen before on Chinese versions of Oppo phones, and are now supported in India. Smart Scan now supports Hindi in addition to German, Italian, Spanish, French, Korean, Japanese, and Chinese. Using this app, you can scan a document with text written in Hindi and have it converted into editable Hindi text. In our experience, it worked quite well, and you don’t need an active Internet connection. 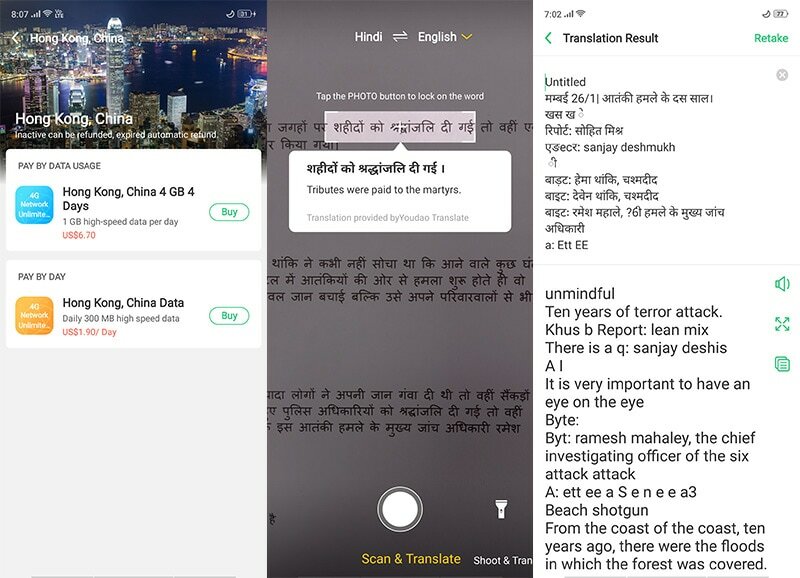 However, you do need Internet access to use the ‘Scan and translate’ feature which translates small snippets of text between Hindi and English in real-time as you hover the camera over it. The ‘Shoot and translate’ feature lets you take photos of entire pages and convert them into editable text. ORoaming generates a virtual SIM card on your phone so you can use local data services (not voice or SMS) in countries you’re travelling to without having to switch SIM cards or use international roaming. Prices range between $11 and $21 for a week, depending on the country. ORoaming covers most major countries and regions, but the choice of available data packages seems a bit limited. The largest package for most countries tops out at 1GB for a week, with some exceptions such as Australia and Hong Kong, that go up to 4GB. This service is available because of a partnership between Realme and Redtea Mobile, an eSIM solutions provider. We couldn’t actually test ORoaming to see how well it works or not since it would require physically travelling to one of the supported countries. The Realme U1 didn’t give us any unpleasant surprises during day-to-day usage and it performed just as we expected it to. Cleaning up fingerprint smudges is an uphill battle on this phone, so if you’re the finicky type then we suggest using the bundled case. The display is lively, and viewing angles are pretty good too. We didn’t have any issues with call quality either, and the phone runs cool for the most part. The Helio P70 easily chomped though most games and managed to deliver solid framerates. Asphalt 9: Legends didn’t seem to faze it one bit, even on the ‘High’ graphics preset. PUBG Mobile also ran smoothly, but at the ‘Medium’ setting. The slim borders of the display and the tiny notch give you better immersion in your content, which is nice. The phone does get slightly warm when gaming or with heavy camera use, which is normal. Most popular audio and video file formats play just fine. The stock music player supports sound enhancements by Dirac Research, which can be enabled if you use wired headphones. The speaker gets fairly loud too, but we would have swapped its place with the headphone socket, as it’s easily blocked when the phone is held in landscape mode. Since this is a selfie-focused phone, let’s start with the front camera. It’s a 25-megapixel Sony IMX 576 sensor with an f/2 aperture, which we’ve previously seen in the Oppo F7. In daylight, the Realme U1 captures detailed selfies, with good skin tones and colours in general. The AI beauty mode isn’t too aggressive, and does a good job in smoothening your skin most of the time. You might like the Super Vivid mode if you’re into highly saturated colours. You can enable the depth effect, which does a decent job of blurring the background. In the latter mode, the camera uses a four-in-one pixel binning technique to give you better detail by trading off the resolution, so you get a 8-megapixel shot. When shooting against bright light, you get a real-time preview of what the HDR version of your image would look like.